Have you tried on products that don’t actually fit your needs? For example, a makeup that does not match you skin color? Well, I have. And most of the time, I still make them work for me. This time, it’ll be about Organic Liquid Foundation from Krave Minerale. The shade I will be reviewing is in Ricotta. As some of you may know, I included this in my July favorites. Now is the right time for me to tell you why. Detox your make up kits and replace your old liquid foundation with our Flawless Finish Liquid Foundation that has no skin damaging preservatives & irritating chemicals and are infused with skin soothing organic ingredients of Rosemary, Carrots, Jojoba, Aloe vera & Vitamin E that will promise to enhance your skin tone & gives you a broad spectrum of SPF in just a few fingertip blends. A unique liquid foundation formula that replenishes your skin with skin beneficial actives, that is not greasy nor oily. Achieve a flawless and radiant look in just a sec. No sponge/taclon brush needed for application, just your beauty finger tips. 1. ROSEMARY EXTRACT consist of caffeic acid and rosemarinic acid,both are potent antioxidant and anti-inflammatory agents. 2. CARROT OIL stimulates cell growth, rejuvenates tired, aged, dehydrated and damaged skin, eliminates skin toxins & improves complexion. it compose of 7 contents for anti-acne and 1 content for anti-aging. 3. JOJOBA OIL replenished the skin with moisturizing and soothing properties. It has antimicrobial properties, which means it actually discourages the growth of bacteria & microbes. 4. ALOE VERA EXTRACT it nourishes the skin and tissues with body-loving nutrients such as vitamin E and C.
5. VITAMIN E helps in reducing fine lines, gives your skin a healthy natural glow and regenerates the cells of the skin. Due to the 95% organic contents in our formulation, it is best recommended to Shake well before use to avoid color separation inside the bottle. Pump a pea size into your fingertips and apply evenly on your face and neck. Apply Complexion Perfection or Luxurious Perfection loose mineral foundation for a complete make up regimen. - It's organic, no harmful stuff will be deposited on to my skin. - It has a lot of skin beneficial ingredients. This is way better than tinted moisturizers. - Offers sheer to medium coverage. - No smell at all. - It dries matte but gives that glowing look. 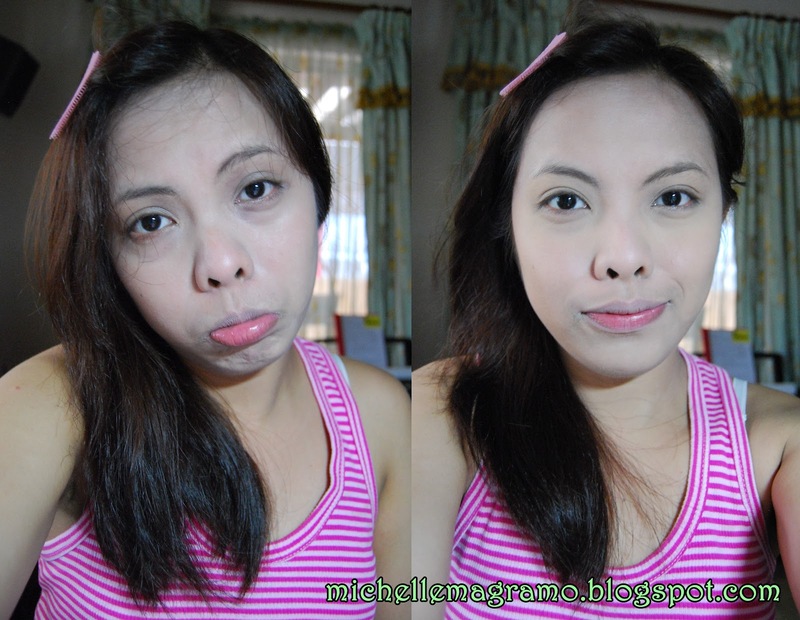 - Though I had a bit of a hard time blending the product, it's still a good base for my other makeup. - I did not experience breakouts and itchiness. - Affordable for a product that doesn't only have one purpose. Coverage plus skin benefits, how's that? - The tube is messy. The product is really runny and it goes out even without much pressure. - It dries really quick making it hard for me to blend. - This shade is really light for me. Before, I thought it's just right for me but I realized that that it's not. Not much of a problem though since right setting powder and matte contour powder can make a big difference. - It comes only in 3 shades. - Available only via official distributors worldwide. I love the product. I did not give it perfect rating because of some minor cons but still, it's a product worth investing. Even my mom loves it. Will I repurchase? Yes and I will try to mix it with the other shades to get my exact shade. Have you experienced the same thing? What did you do? I want to try this for a long time now. :) and i agree with @deynakim:disqus .. you're flawless!!! I do that din sa bb creams. Lalo na if they have this grayish tone to it diba? Super whitecast talaga. Thanks Dana! Actually, dyan lang. Ngayon, may konting breakouts again. So I am back. Again. I am so bad in managing my time I couldn't even update this blog. But anyways, I have here some lipsticks that I have been using for the past months. I want to share with you my thoughts and swatches as well of the Maybelline Vivid Matte Lipsticks by ColorSensational. Good day, friends! 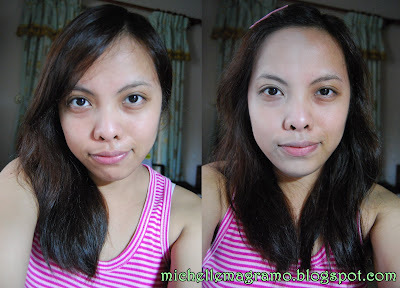 Yehey for another post and this time, I am going to share with you my thoughts about the L'Oreal Paris Excellence Fashion hair color in 7.1 Beige Light Brown. I know this is quite late to share with you because I received this PR kit before 2016 ended. But let me still share with you this amazing hair color from L'Oreal. And, of course, how can I not showcase that gorgeous kit? Pang out of town or country and peg! Lately, Ive been feeling a bit sick but I have yet to find out what is wrong with me. I am hoping it is nothing serious. So for now, to relax my mind and divert my attention, I am going to share with you a review about the powder that has been a staple in my kit for almost a month now which is the Althea Petal Velvet Powder. Copyright © 2019 Micmic's Corner. All Right Reserved.